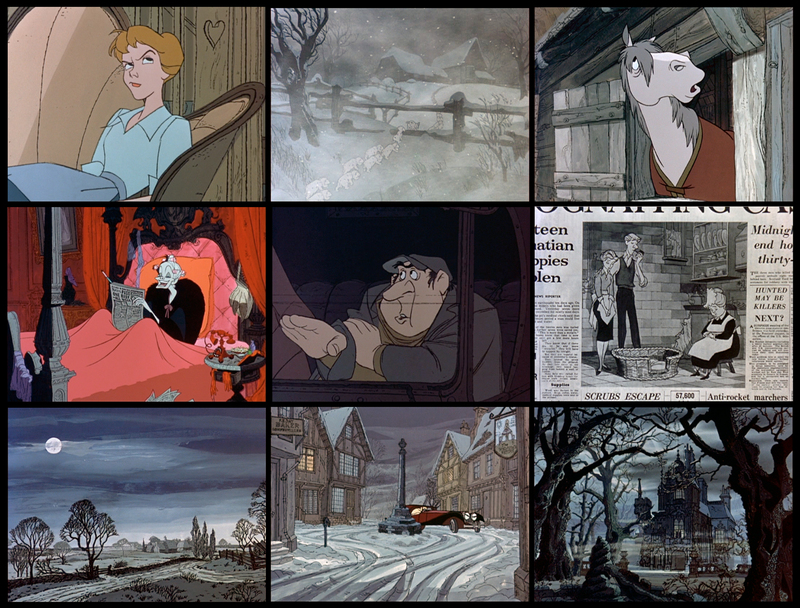 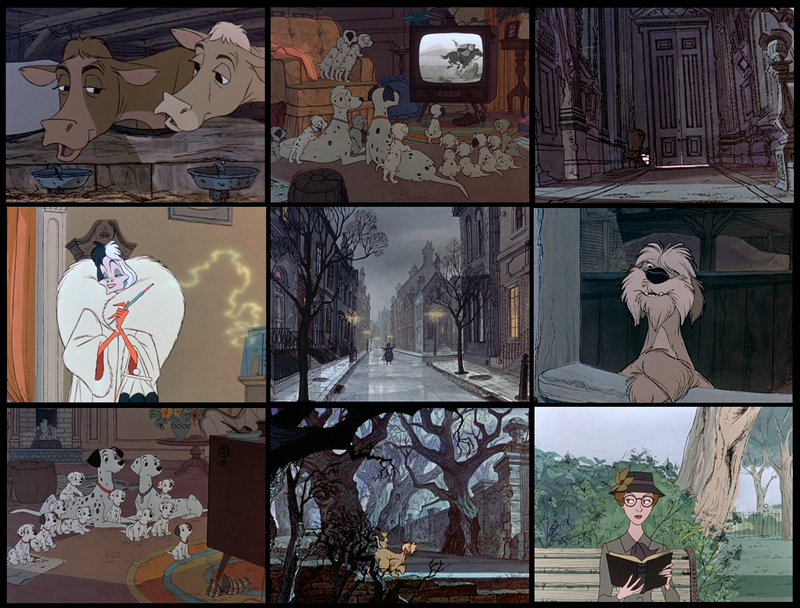 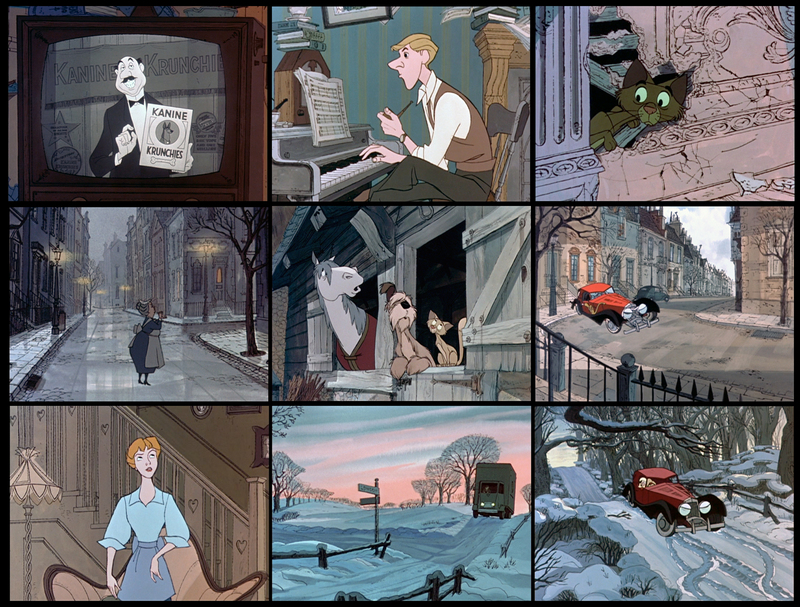 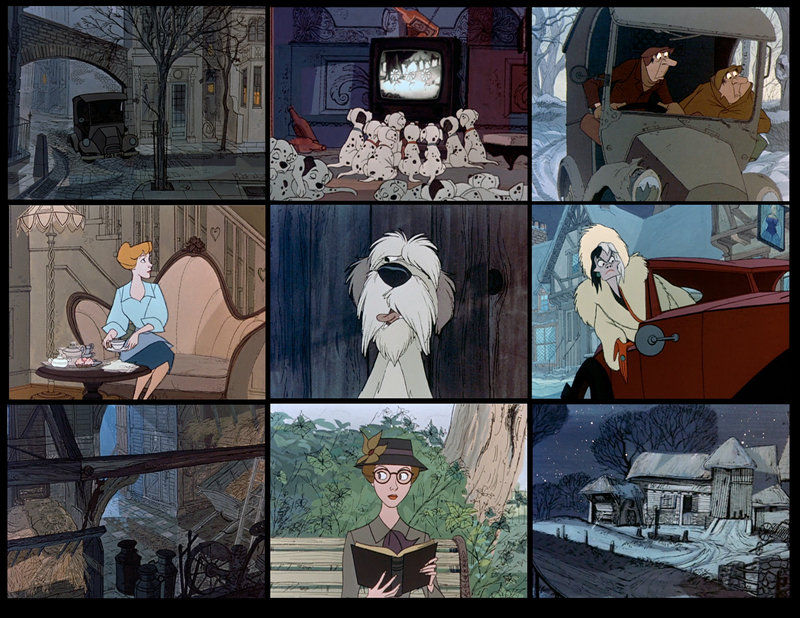 the following scenes from one of my favorite disney classic 101 DALMATIANS from 1961 show how far the artists in the studio had developed. 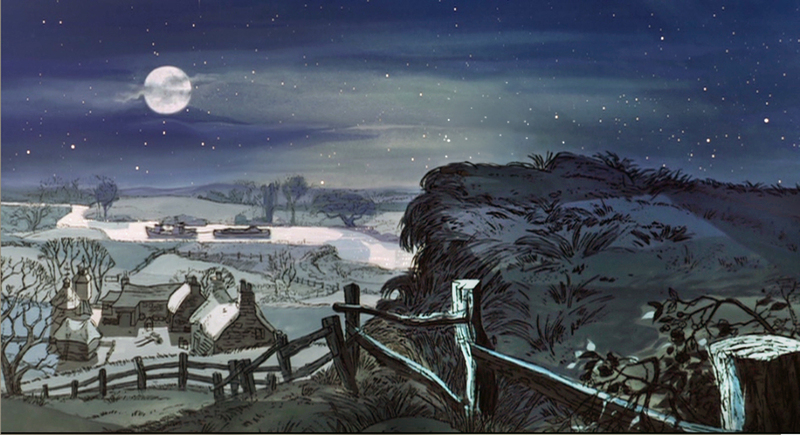 not only in animation, especially MILT KAHL and MARC DAVIS at the peak of their art, – every single ingredient shows the same level of perfection. 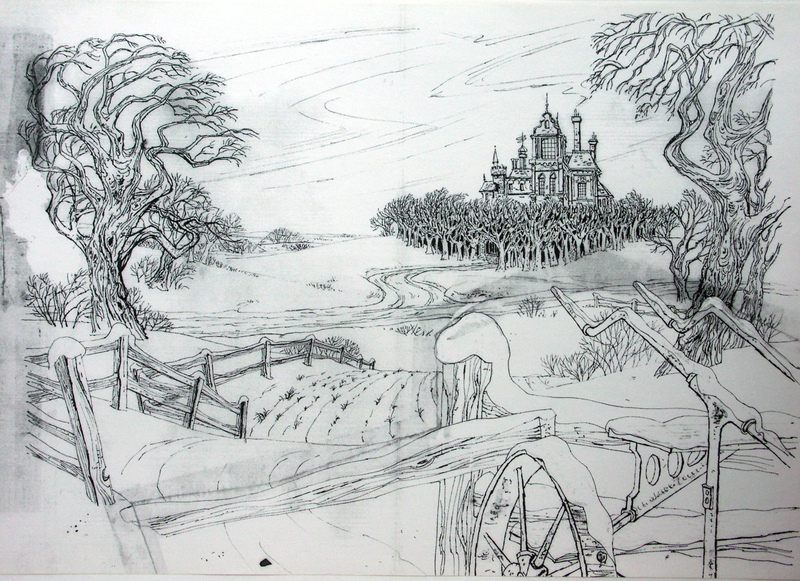 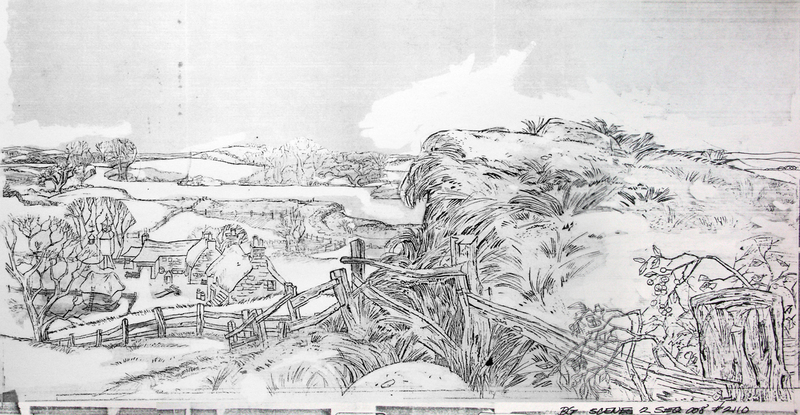 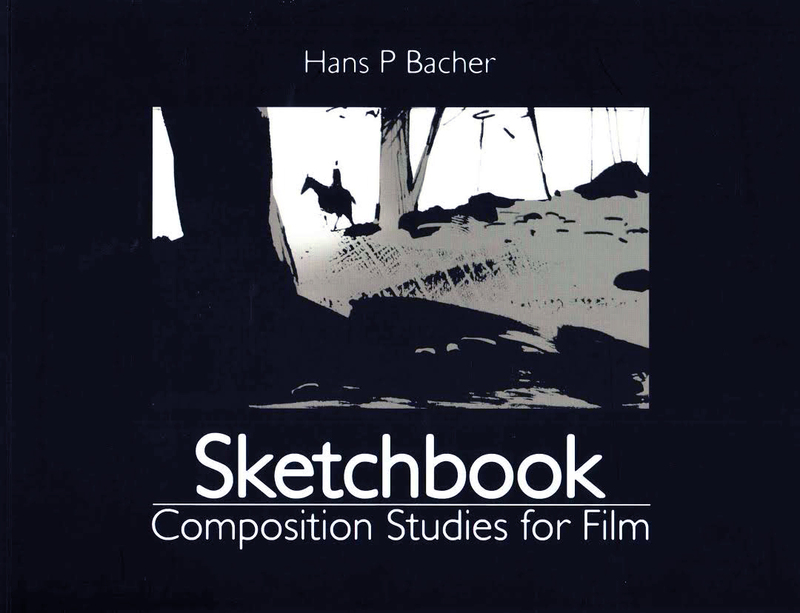 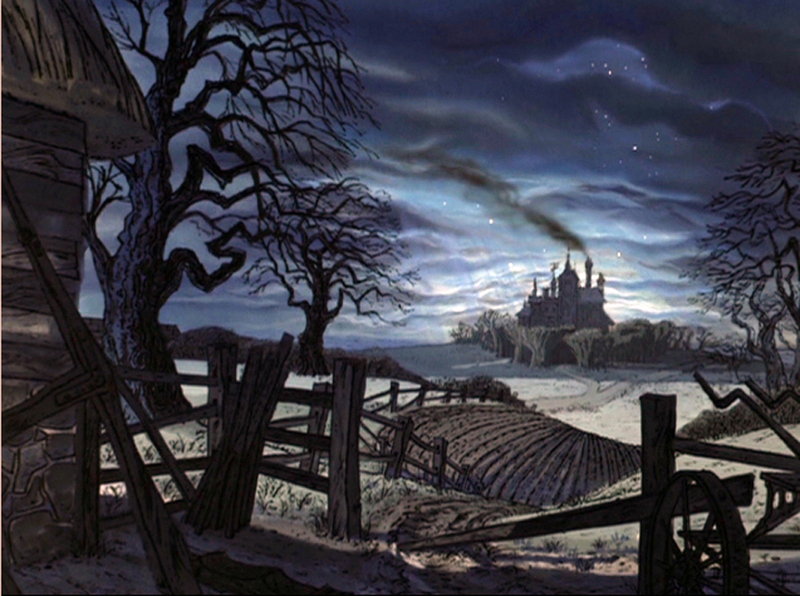 starting with a unique storyboard completely finished by one of the best – BILL PEET. 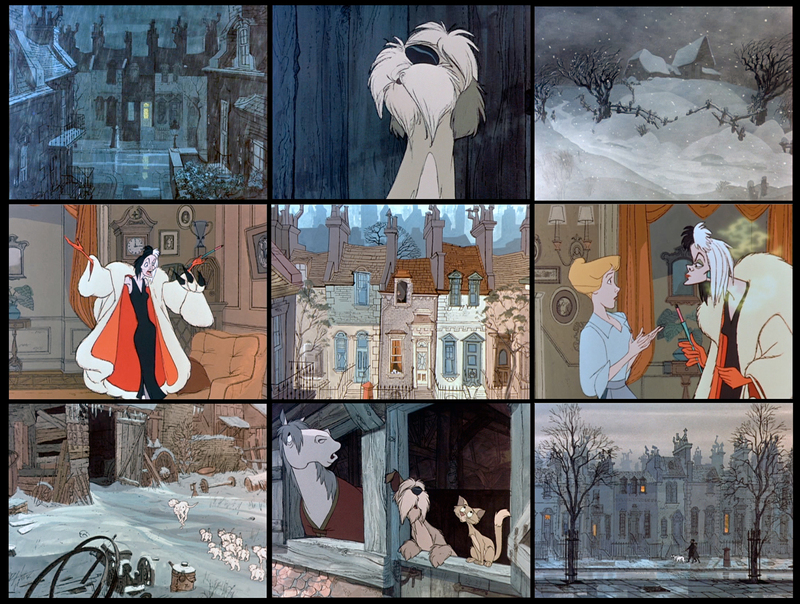 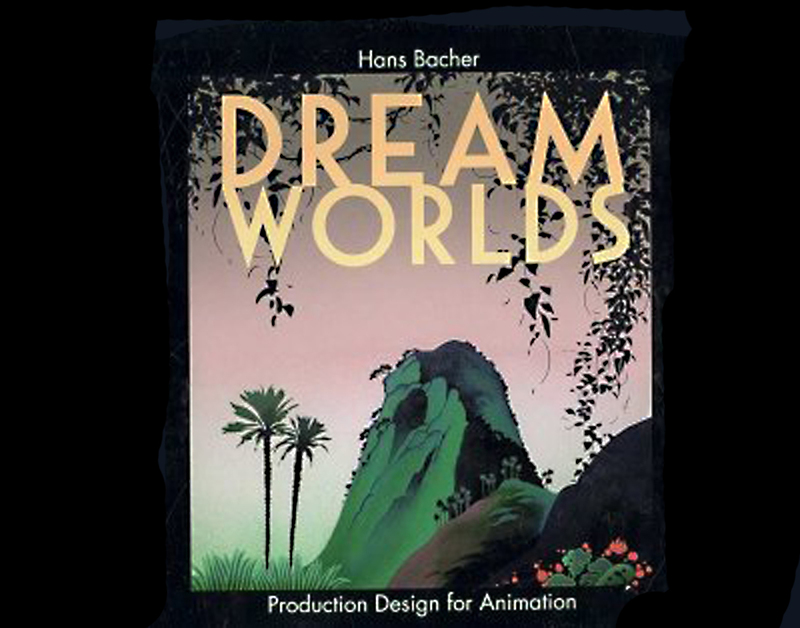 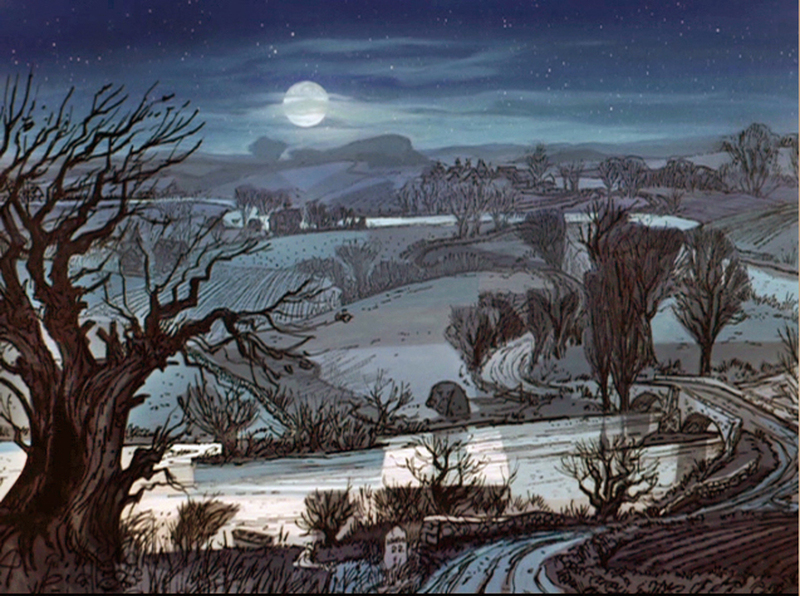 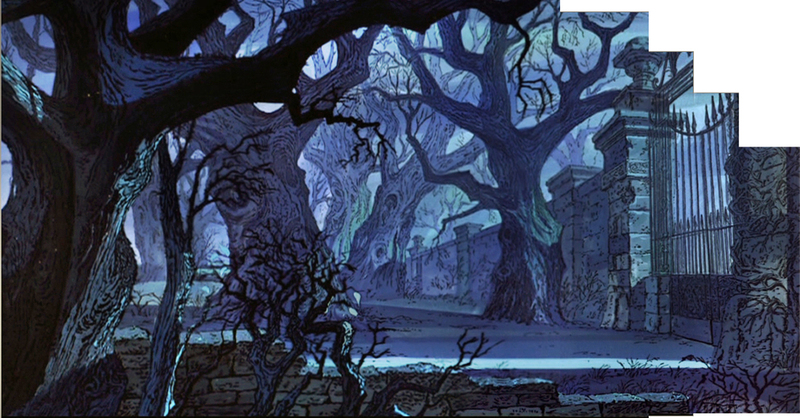 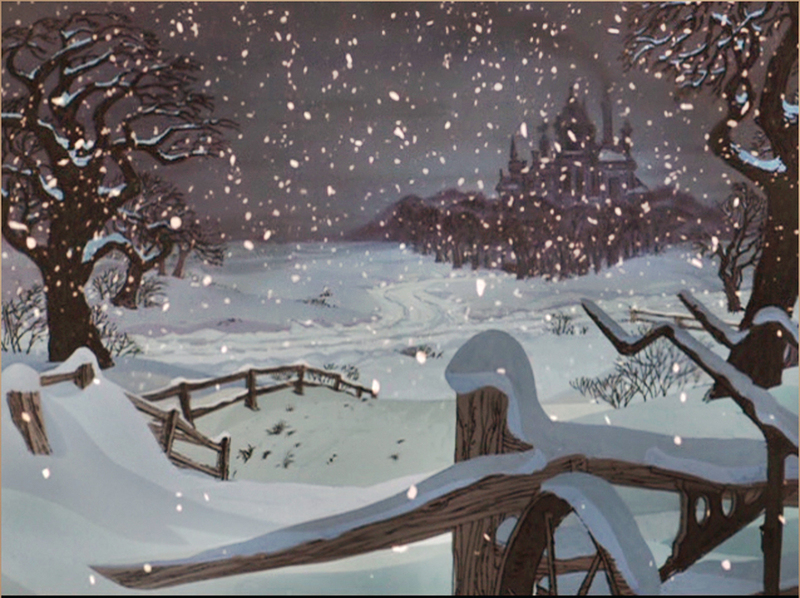 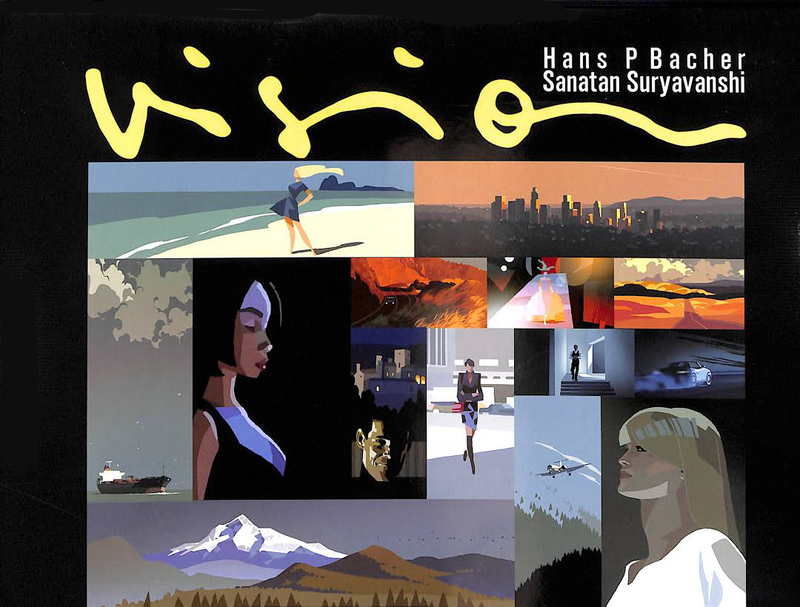 the overall very stylized design of the film by KEN ANDERSON and an amazing layout and BG-department. 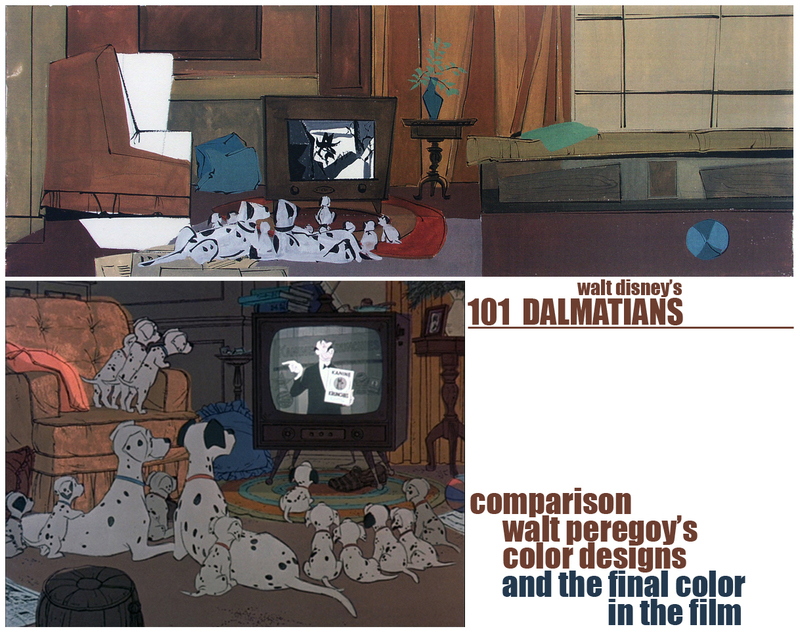 all that combined in a new technology, the XEROX-process, that made it possible to bring 101 animated dogs to the screen, and – eliminated the ink and paint step in production, allowing us to see the original drawings of the animators. 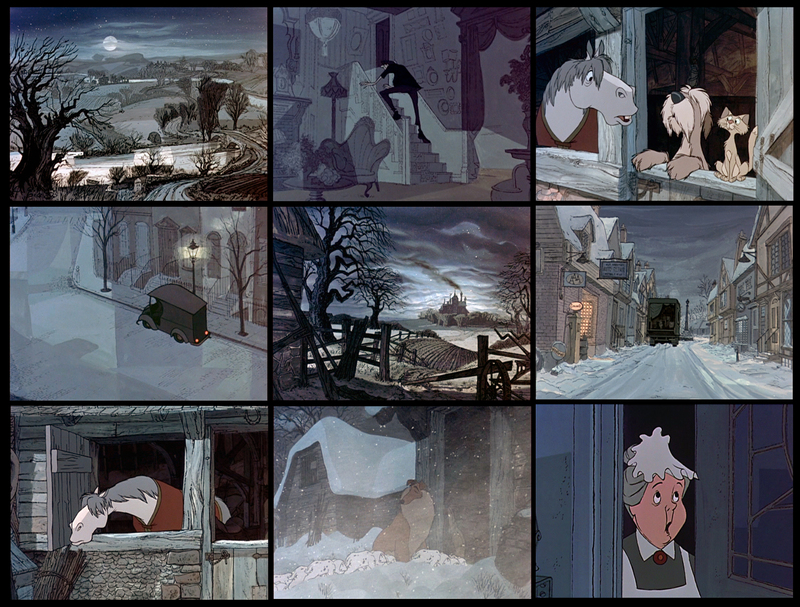 the scenes that I selected are not in order of the story. 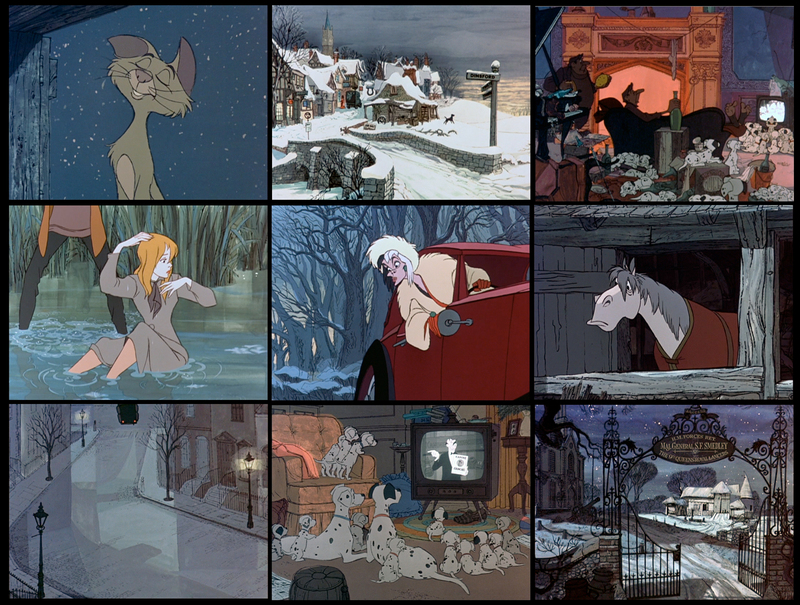 they might show you the beauty of every single composition and color combination in those scenes. 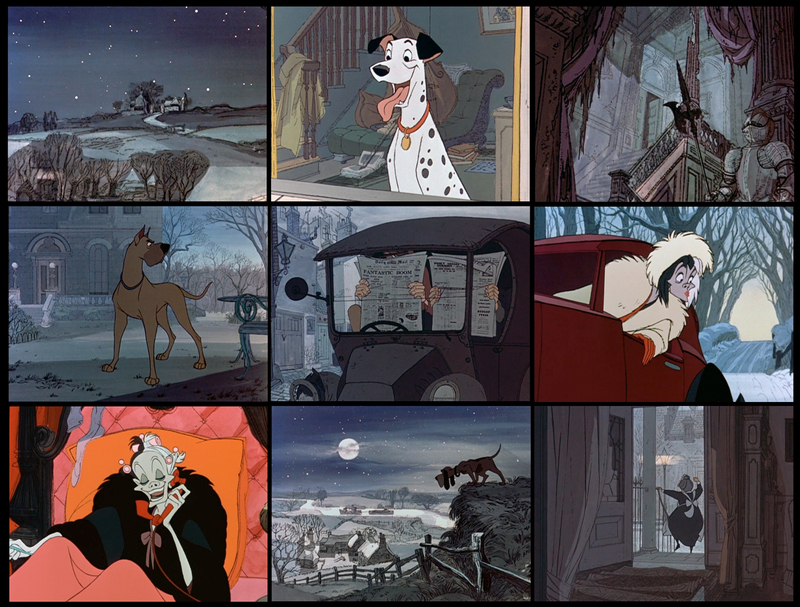 a true masterpiece. 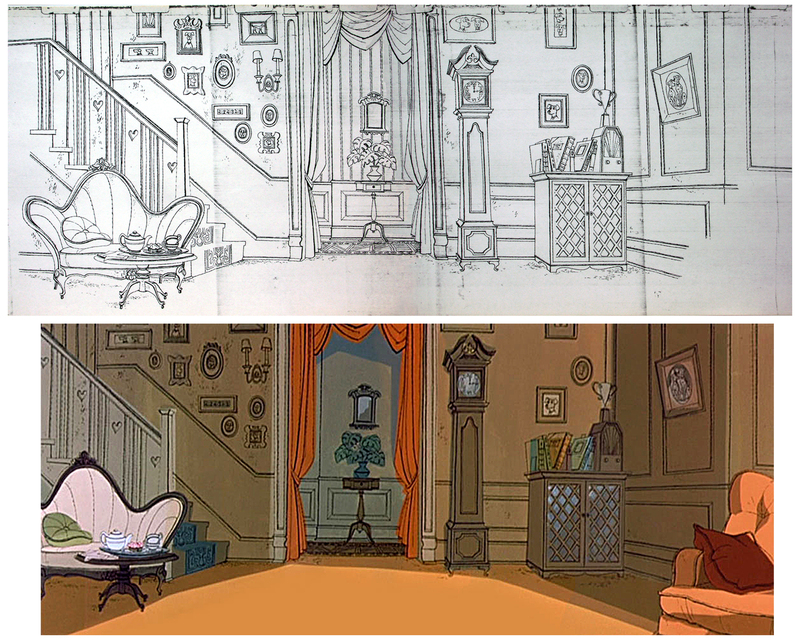 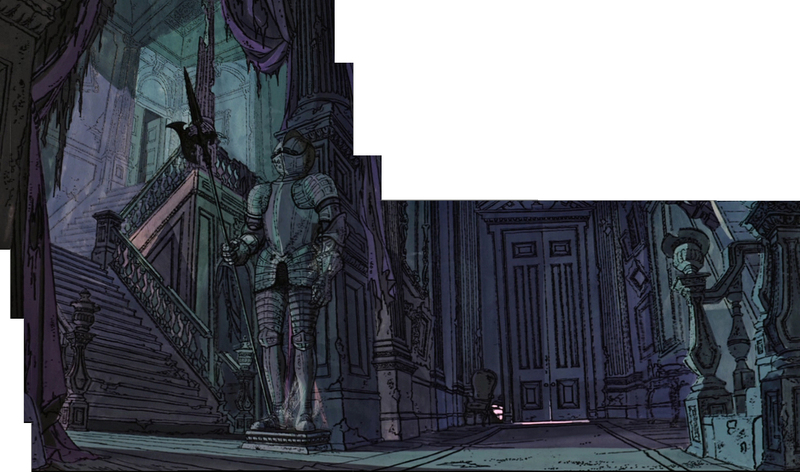 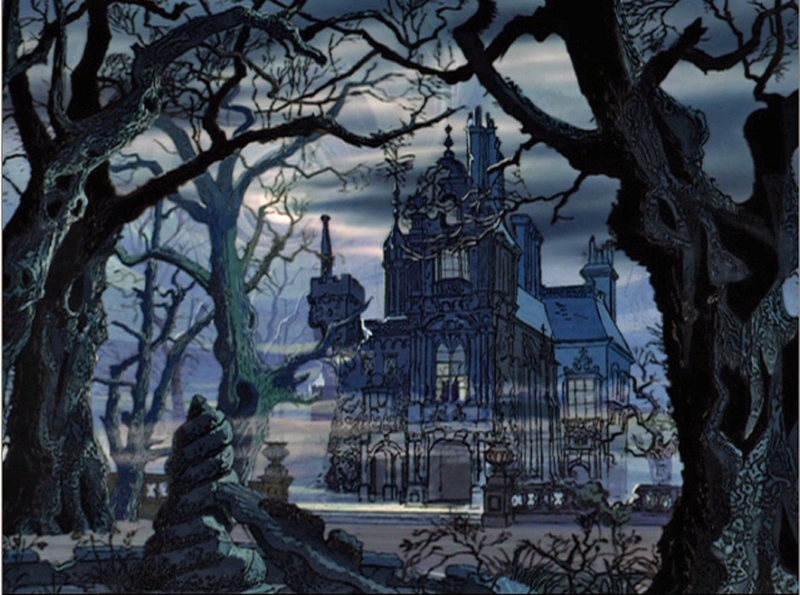 from disney’s 101 DALMATIANS some more recreated backgrounds, cruella de vil’s castle ‘hell hall’. 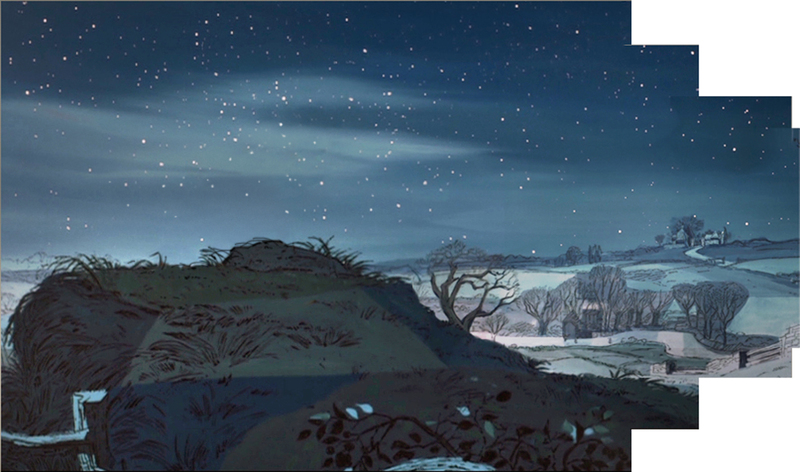 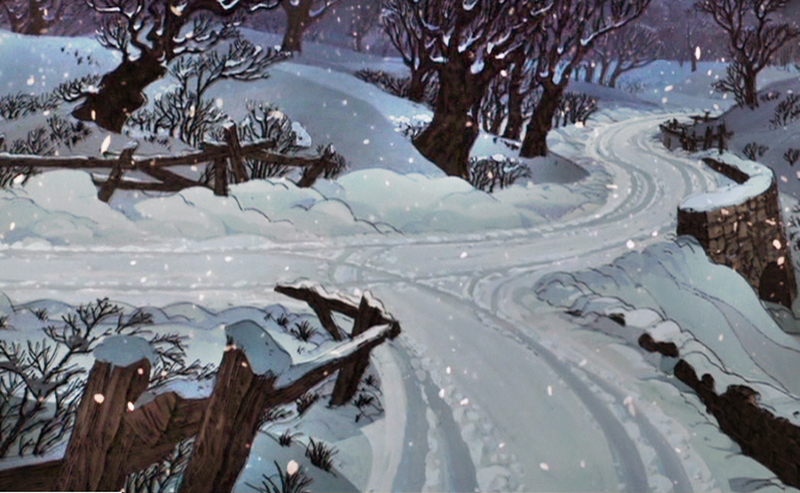 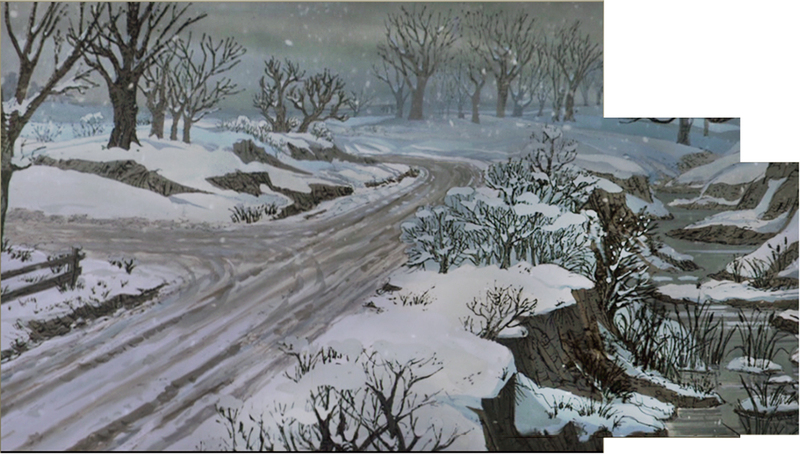 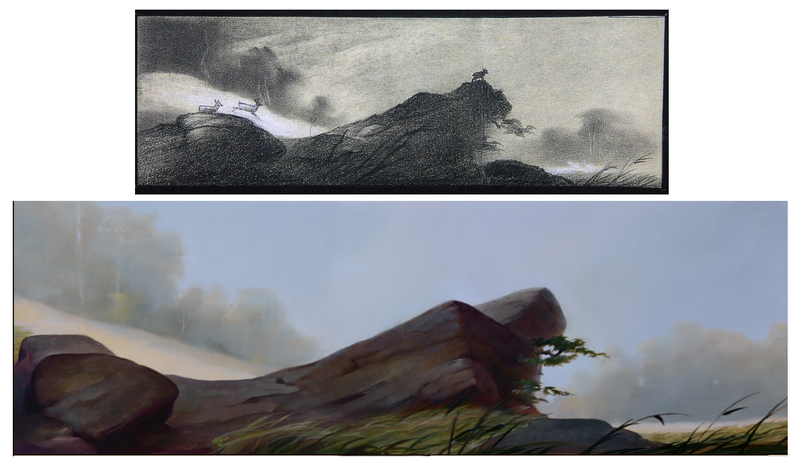 the two recreated pan backgrounds are from disney’s 1961 101 DALMATIANS, one of my most favorite films.